The Department of Genetics, Cell Biology and Anatomy looks back to antecedents in Nebraska medical schools in the late 19th century which did not survive or were incorporated into the University of Nebraska. After the turn of the century, the medical school, located partially in Lincoln and partially in Omaha, was highly regarded by the Flexner Commission. The Commission did urge that the school settle on one location. In 1913, upon completion of what is now known as Poynter Hall, the University of Nebraska College of Medicine was opened in Omaha. During that time, the anatomy faculty, consisting of Drs. Charles Poynter and William Willard, occupied the top floor of Poynter Hall. For the first three years, Dr. Poynter headed the Department of Anatomy, while Dr. Willard led the Department of Histology, Embryology and Neurology. The national trend to amalgamate into one administrative unit came to fruition in Omaha in 1916 under the leadership of Dr. Poynter. The study of anatomy for the 85 entering students occupied virtually the entire first year of the curriculum. Total time allotted was approximately 860 hours, which represented a considerable reduction over previous curricula. The sagittal sections of the brainstem made by Dr. Willard are still in use in the Neuroscience Core. 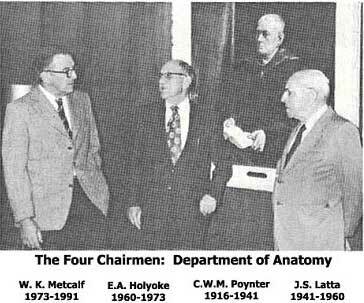 The graduate program in anatomy was established soon after Dr. Poynter took over as head of the department. An early graduate of that program, J.J. Keegan, who became a neurosurgeon, worked out the dermatome pattern which is still accepted as standard in most textbooks of anatomy. Dr. Poynter led the department until 1941. For the last 12 of those years, he was also Dean of the College of Medicine. When Dr. Poynter relinquished the leadership of the department to concentrate on his activities as dean, Dr. John Latta, who had come to the department as an assistant professor in 1921 and had gradually assumed the functions of a chair when Dr. Poynter became dean, was appointed to replace him. He retained the position for 19 years until 1961. After Dr. Latta retired, the department was chaired by Dr. Edward Holyoke, a graduate of both the College of Medicine and the graduate program in anatomy. 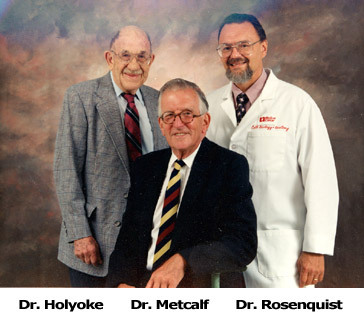 Dr. Holyoke was able to recruit additional staff, gradually building from six in 1961 to eleven just ten years later. In 1969, Dr. Holyoke oversaw the move of the department into Wittson Hall. After he retired from the chairmanship, he continued to teach in gross anatomy until 1983 for an involvement in the course that totaled 53 years. Dr. Holyoke was replaced as chair by the first chairman from outside the institution. Dr. Kenneth Metcalf, a british anatomist and physician, came to Omaha in 1973 and served as department chair for 18 years. He introduced a living anatomy program into the gross anatomy course and experimented with several innovative approaches to anatomical education. Since retirement from the chair in 1991, Dr. Metcalf continued to teach gross anatomy on a part-time basis. Dr. Thomas Rosenquist, now Vice Chancellor for Research, succeeded Dr. Metcalf in 1991. He led the department into a period of considerable growth in research funding. Dr. Rosenquist also began the process to incorporate the genetics group into the department, leading to an official change of the name of the department in 2002 before stepping down from his chairmanship to focus on his other leadership roles. From 2002 to September 2003, a senior member of our department and a developmental biologist, Dr. James B. Turpen, served as the Interim Chairman. In September of 2009, Dr. Vimla Band was appointed Interim Chairperson of the department. Dr. Band’s research interest is in the role of novel epithelial oncogene targets in epithelial cell growth, differentiation, development, and oncogenesis using both in vitro and in vivo models. Dr. Band has an ongoing interest in the research of the role of these proteins in breast and cervical tumor progression with a primary research interest in defining the genetic basis of cancer susceptibility, in particular in relation to genetically determined variability in responsiveness to estrogens in tissues, such as the breast, in which estrogens contribute to cancer development. examining their expression and localization in human tumor tissues. Research began to become established in the department during the Latta and Holyoke years; both were funded by NIH grants in 1946. The focus of current research in the department is on genetic basis of cancer susceptibility, stem cell biology, gene expression in embryonic development, developmental neurobiology, sexual differentiation, gene targeting to treat lymphoma/leukemia, and gene regulation. At the present time the department's research funding places it second among the College of Medicine's departments. The department is responsible for approximately 500 hours of teaching in the medical curriculum and approximately 430 hours in various allied health programs, significantly more teaching than any other department in the College of Medicine. The department also participates in graduate education on campus by organizing several courses taken by the graduate students from all over the campus and contributing to the Biomedical Research Training Program (BRTP). Funds have been obtained for renovation of the teaching space and for development of virtual microscopy for teaching microscopic anatomy. The staff of the department has grown from the original four in 1913 to the present 20 full-time faculty, 3 part-time faculty, 25 administrative and support staff, and 21 graduate students. 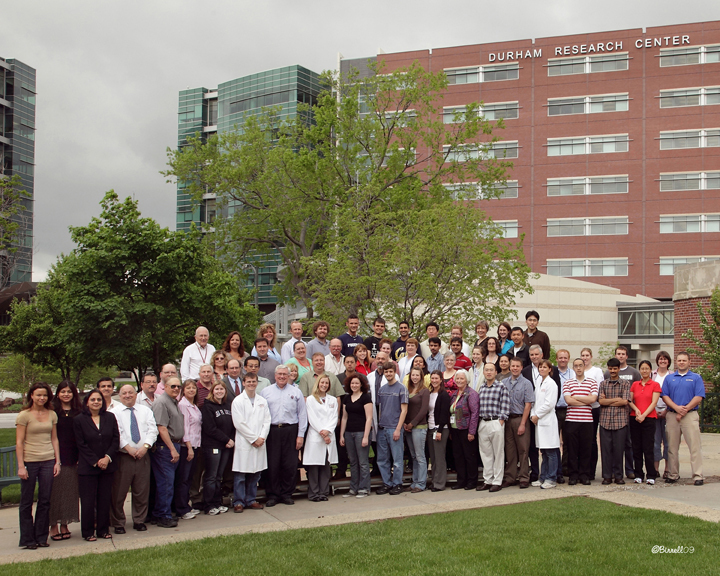 One of the department administrative offices and several faculty are now located in the Durham Research Center, a state-of-the-art research facility located on the west end of campus. The other administrative office still remains in Wittson Hall.